Sunday is a great day to meal prep for the week ahead; and since this week is a holiday week.. it might be a bit different than your typical week. My kids are off of school all week (I don’t remember having the whole week off from school before Thanksgiving!! Maybe the ACTUAL day and Friday…which was never “Black Friday” either but I’m getting off topic). Let me help with some basic tips I usually follow each year. My first goal is to actually enjoy the holiday and not feel like I need to choose between complete deprivation or a total “binge – fest”. You can have your Thanksgiving meal and lose the guilty feelings too! The first thing you need to understand is that choosing to eat healthy is not a punishment. It’s not a punishment to use portion control…that’s simply making the choice to eat what your body needs as a balanced lifestyle choice. Don’t you see the cycle of over-eating and feeling lethargic, guilty and grouchy? The feel good vibes that we associate with the foods that bring us joy only lasts for a short time…then the sugars and fats can have the opposite affects on us, right? Another thing that usually happens the next day; following a binge, is that you find yourself craving more sugary foods and you are back in a vicious cycle that could have been eliminated by simply having a successful plan written out. While I still enjoy having a sweet treat now and then, and especially during the holiday season, I plan when I have my sweet treats and how I eat before and after to help me stay balanced and feeling happy. Portions are the key to keeping on track (and why I have decided to stay with the #21DayFix container system). So that means that even though it’s the holidays (or should I say especially since it’s the holidays), I’m still eating every 2-3 hours. I’m also planning when I eat my proteins, carbs, veggies, fruits and healthy fats. I also NEVER skip my daily Shakeology. Here are some tips to get the most out of the holidays and still enjoy them as you would like to. Are you ready?? First of all, it’s best if you get in some activity to counter any extra calories you may be consuming during this coming week. I would recommend sticking with your regular workout schedule, if you have one. If you are traveling and staying at a hotel, use your laptop and do your workouts in your hotel room. (Trust me, I’ve done this all through last year while traveling and staying overseas). You can also go to the gym and improvise with another form of a workout if you don’t have a laptop of workout videos with you. If you are staying with family or friends, find someplace in their home you can do an early morning workout and not disturb anyone else. (or why not ask them to join you for some bonus fun?) Seriously, I’ve heard so many excuses regarding working out during this time of year but if you really want to workout, you will find a way to get it done. How about even going for a walk or jog in the neighborhood you’re in? Get some fresh air and involve those around you to help inspire your loved ones to start a healthier journey this season. How is your water intake as you travel or are busy with cooking and planning? It’s so easy to NOT drink your water if you don’t carry around a water bottle. Make sure you choose water first over other drinks offered and drink at least 1/2 of your body weight in ounces every single day…or 3-4 liters to keep your body hydrated and feel fuller along the way. What does my week look like? I will follow a normal meal plan and workout schedule on Monday, Tuesday and Wednesday. Thursday starts off with an early workout to start my energy for the day and then my Shakeology will follow to get the best start of all. I’ll have a snack in the later morning and then a light lunch as usual. Thanksgiving meal is usually a late lunch/early dinner so since I’m cooking, I can plan my meal around the foods I know and love most. I always fill my plate first with salads and dark veggie choices…and the “green bean casserole” you know and love doesn’t count as this option! 😉 I then pile on the turkey because I don’t get it as often as I would like and I know it makes my body happy! As for side dishes, if there is one that I really want to eat, I’ll have a small portion and enjoy it with “dignity and a fork in front of others”…. (it beats spooning it mindlessly into my mouth later by myself bcuz I deprived myself of what I wanted most). Knowing what the menu will be ahead of time will help you; whether you are hosting or not. Don’t ever leave anything to chance…as it never works out in our favor that way. And when all else fails, offer to bring one of your favorite dishes and eat that as you’ll know exactly what it includes. I always choose a dessert and drink my tea or coffee with it and enjoy the company as much as possible. I used to just scarf down foods and focus more on that aspect than the people…and learned that never made me feel successful in any way. You need to find the right balance for you and stick to it year after year. Knowing what makes you feel your best…and what doesn’t…can help you succeed and actually be able to inspire others along the way. As for Friday, I choose not to “Black Friday” shop and just hop back onto my workout and clean and healthy eating plan. If you like to go shopping on Black Friday, you can choose to fit in a workout after the shopping is done but your priority should be to fit in that session. Balance is key this time of year. There will be times you need to choose to pass up something you really love or are craving…but it’s the end goal that matters most so surround yourself with like minded people who are on a similar mission to succeed through the busy season. It can be done…it has been done and you can do it this year too!!! Tomorrow, I’ll be sharing some of my healthier holiday recipes and swaps to make your holiday season the tastiest and healthiest of all time! NOTE: I am going to be starting a holiday survival guide group December 1st through 31st. 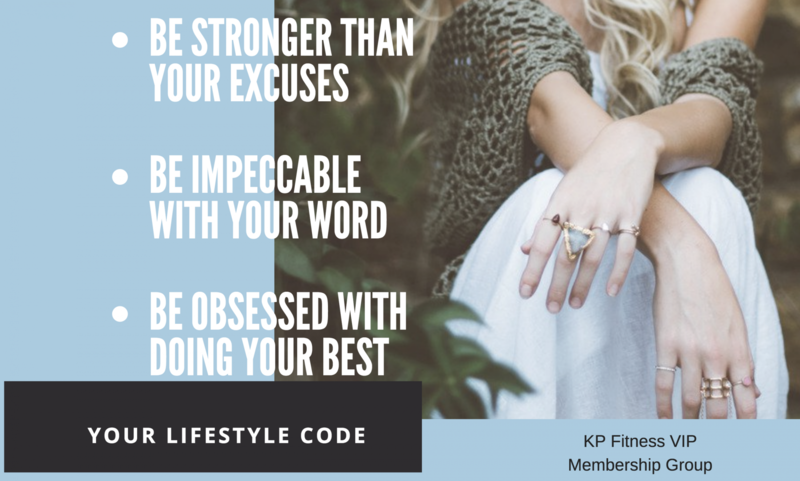 If you want some tips just like this to staying on track for the month of december and that extra level of accountability then make sure to join below! The requirements are 30 days of Shakeology, Fitness Program optional, option to start with the 3 day refresh, Piyo and or the 21 day fix! Think about it this way! Don’t wait until after the holidays to get started. You can actually lose an average of 2lbs a week between now and Christmas! Think 10 lbs gone before the ball drops on 2015!